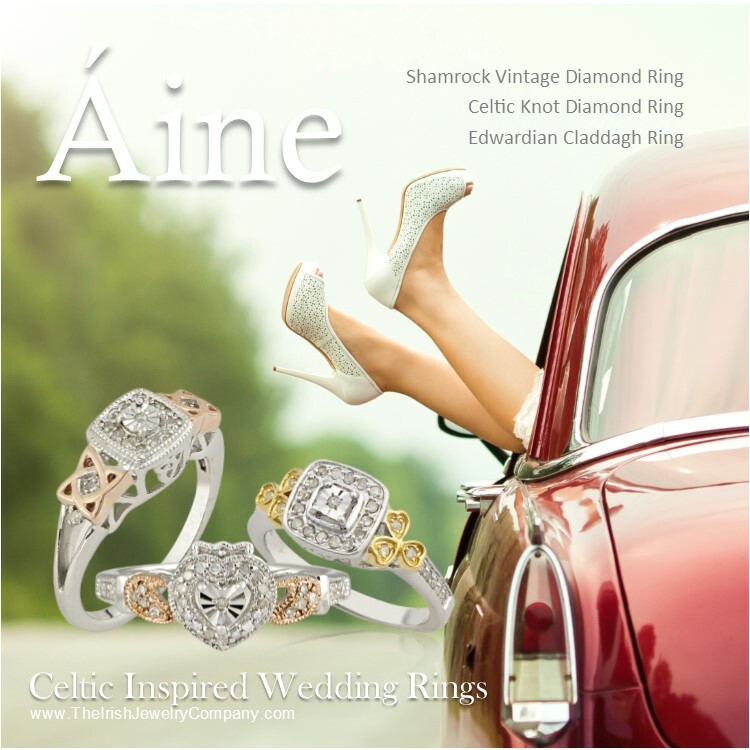 The Irish Jewelry Company, an online Irish jewelry retailer of exclusive designer Celtic and Irish jewelry, announced that it has launched a bridal jewelry collection including Celtic wedding bands and Celtic engagement and anniversary rings. The bridal collection is designed exclusively for the company by the owner and jewelry designer Jennifer Derrig. 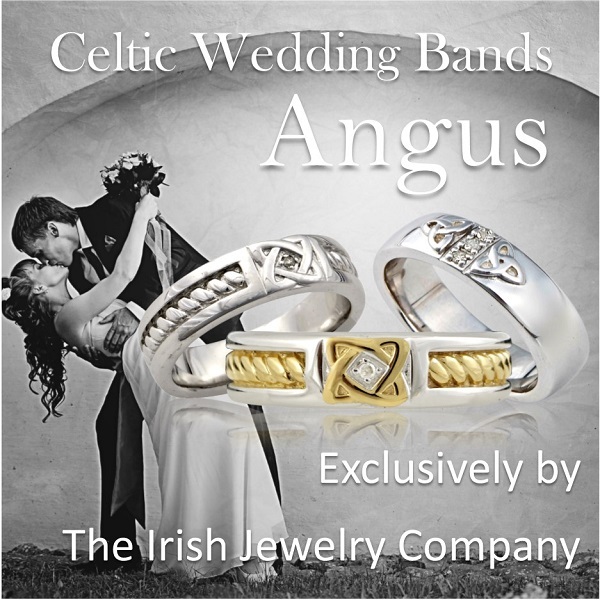 The Celtic bridal jewelry line consists of two main collections; Angus is the bridal band collection and Aine is the bridal jewelry collection including engagement rings, anniversary bands and promise rings. The Aine collection also includes coordinating earrings, bracelets, and pendants to its bridal rings. The Angus Collection is based on the Irish God Angus also known as “Angus the Young”. He was considered the Irish God of love. Angus had a harp and played irresistible music, and it was said his kisses turned into birds that carried messages of love. The Aine Collection (pronounced “on-yah” or “awn-yah”. ) is based on the Celtic Goddess of love also known as The Queen of Fairies. She is worshiped for her power to bestow fertility, abundance and prosperity. The Irish Jewelry Company’s bridal collection is inspired by Celtic symbolism and Irish tradition. This exclusive collection reflects jewelry designer Jennifer Derrig’s attention to detail, beautiful design and highest quality craftsmanship. The Irish Jewelry Company is owned by a husband and wife who are jewelry industry veterans. As a classically trained jewelry designers from the renounced Fashion Institute of Technology they have an uncanny knack for reading the trends and bringing you original Irish Jewelry pieces that keep you in style. The Irish Jewelry Company’s designs are so welled designed they have crossover appeal to all nationalities, Irish and non-Irish alike. Also featured on the new site is The Irish Jewelry Company blog https://theirishjewelrycompany.wordpress.com. The Irish Jewelry Company blog will educate and entertain you with Irish culture and customs such as Irish folklore, traditional Irish sayings and Irish blessings. 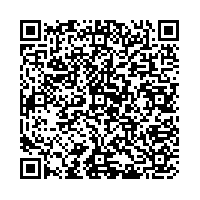 It is your go to online reference for all thing Irish and Celtic. BIG CHANGES- The Irish Jewelry Company launches new website. The Irish Jewelry Company, a fast growing online Irish jewelry retailer, today announced that it has revamped and re-launched its e-commerce and mobile commerce sites for TheIrishJewelryCompany.com. The new website’s features will empower online growth and enhance the customer experience purchasing Celtic jewelry. The new site upgrades, put a greater emphasis on photography, content and social media and provides a more engaging user experience through wish lists, customer reviews and tags. In addition to the online redesign, IJC now offers a currency converter that will allow customers to view the jewelry prices in US dollars, British Pound Sterling and Euros. The new website continues the Irish tradition of high quality jewelry design, steeped in meaning for both the Irish and non-Irish alike. 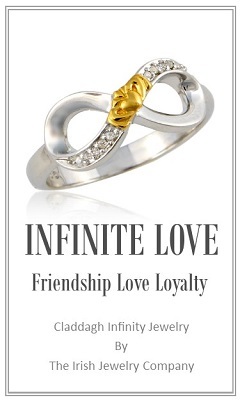 Same great quality Irish jewelry and prices but now with $5.99 flat rate shipping! In addition The Irish Jewelry Company will now be offering order tracking, a digital ring sizer and an e-Gift Certificate. The Irish Jewelry Company is owned by a husband and wife who are jewelry industry veterans. As a classically trained jewelry designers from the renounced Fashion Institute of Technology they have an uncanny knack for reading the trends and bringing you original Irish Jewelry pieces that keep you in style. The Irish Jewelry Company’s jewelry designs are at the forefront of the fashion trends and are so welled designed they have crossover appeal to all nationalities, Irish and non-Irish alike. 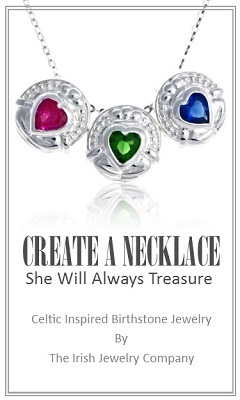 The Irish Jewelry Company’s goal is to touch hearts with their design and to carry on tradition one gift at a time. TheIrishJewelryCompany.com’s trademark is specializing in copyrighted original Celtic Jewelry and Irish Jewelry designs. The Irish Jewelry Company is the largest retailer and manufacturer of Irish Jewelry and Celtic Jewelry in the world. The Irish Jewelry Company offers high quality, unique and stylish Irish Jewelry sold exclusively online at the TheIrishJewelryCompany.com or by approved retailers only. All of The Irish Jewelry Company’s designs are copyrighted and come with a certificate of authenticity. 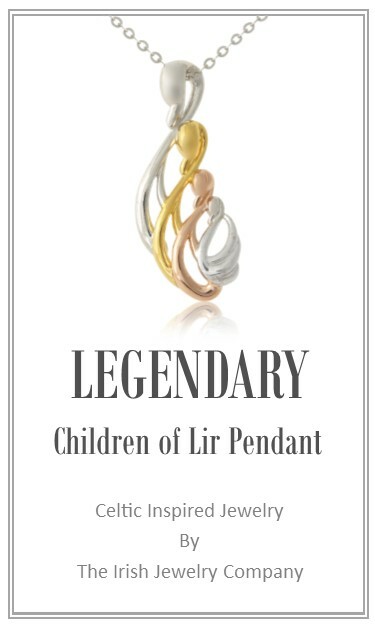 They sell a wide selection of Celtic Knot Pendants, Celtic Crosses, Irish Angels, Claddagh Rings, Trinity Rings,Infinity Claddaghs, Trinity Knot Necklaces, Claddagh Pendants,and Shamrock Pendants including their signature exclusive collections the Celtic Mothers Knot, Mothers Claddagh and the Sister Knot. (Copyrighted) The Irish Jewelry Company offers high quality, best prices with a dedication to customer satisfaction like no other claddagh ring company. When shopping online with The Irish Jewelry Company us you know that you are getting quality Irish Jewelry direct from the manufacturer for overall best value from Ireland to the US. The Irish Jewelry Company is currently in the running to win a Grant from FedEx! Vote for this business to help them win one of ten small business grants from FedEx, including the $25,000 grand prize.